Hi there! Today, we would love you to meet a wonderful EPM stallholder - Emily from Rosemarie's Cakes! 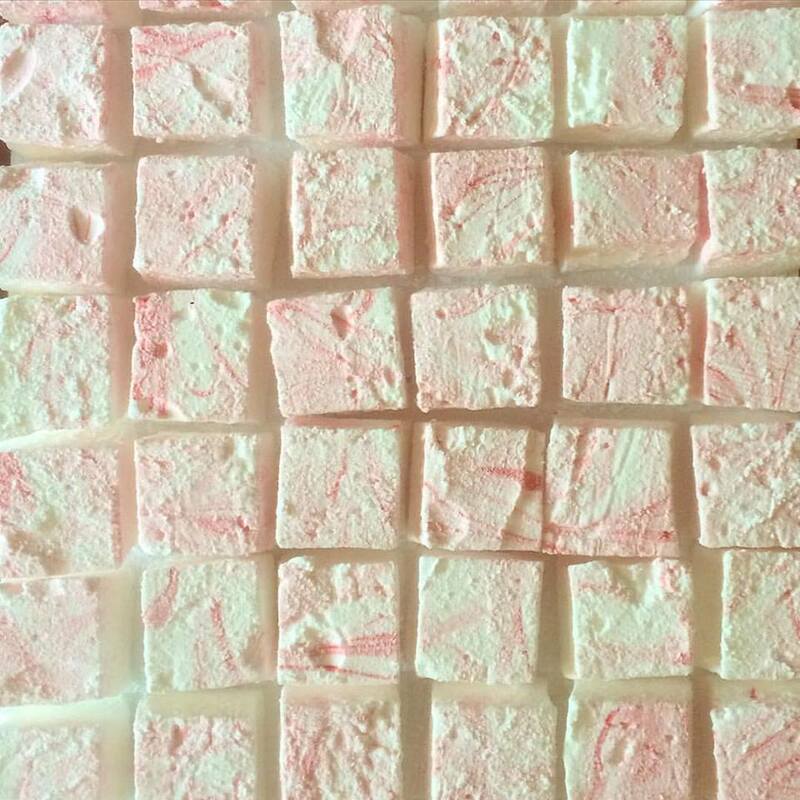 Emily has reinvented the marshmallow and now provides unlimited joy to all marshmellow addicts with her sweet treats at each and every EPM! My name is Emily and I'm 22. Born in the England and moved to Australia when I was eight and been a proud Mornington Peninsula resident ever since!! Im a Qualified Pastry cook who has got known for my marshmallows. Marshmallows you say with that not to pleasant facial expression as you remember the chewy tasteless ones brought from the supermarket..... You don't know what real marshmallows is until you have tried my marshmallow!! From a young age I would always help out in the family kitchen, but it wasn't until I was 12 or 13 when my dad told me I could cook any dessert of my choice once a week. So I tried every recipe I could find, from nougat to creme cheese. I knew this was what I was going to spend the rest of my life doing! I'm a over thinker, someone that dwells on everything single thing and so far its only enhanced my career. There's not a second in the day I'm not thinking of a new flavour combination, packaging, a quicker, easier way to produce stock or a twist on a old classic. Everything around me inspires me from my english background to the season in the year. It will be when I wake up on a lovely spring morning and head in to bake all my lovely treats for the day in my very own shop. Followed by a stroll down the beach with my boyfriend and dinner on the sand watching the sun set. To this date my best creation must be my marshmallows. I didn't invent them but I feel like I've taken them to a whole new level. A failed attempt is majority of the time a lesson learnt. The amount of times I've sat back and thought about every little step I made in the creation of a baked good, and then to try and pin point a differing factor to the time before that I made the same thing because either I love it the second time or It was a total disaster and I'm trying to think why. My Dad always says you have to try every recipe once. Some you won't touch again and others you will just keep tweaking until they're your own. I;m one of the easiest persons to frighten. So I try not to watch many as in my career I'm usually heading to work in the dark. A series of books named Alfie by Shirley Hughes were always my favourite. I don't think they were very well known. My Dad lives by the advice of Work hard, Play hard. I've always believed in it too as its the only reason I've been able to travel around the world. Thanks to David Guetta with the song Play Hard for a theme tune for this advise. Well, I can never say no to Coldplay but lately I've really been into the Bump & Grind by Was & Odyssey & R.Kelly. The first time I heard it my sister, two friends and I couldn't stop laughing at how bad it was but the beat just gets me pumped every time now. Thanks so much Emily for sharing your insights on market life!